This week we went for a walk to the park. The little girls where wearing vintage dresses that recently made their way into our home as a gift from a friend. Pearl was behind the camera again and Brenda and I went along to assist her. It is really fun to see Pearl come so alive when she is shooting. This is something she is definitely built to do. 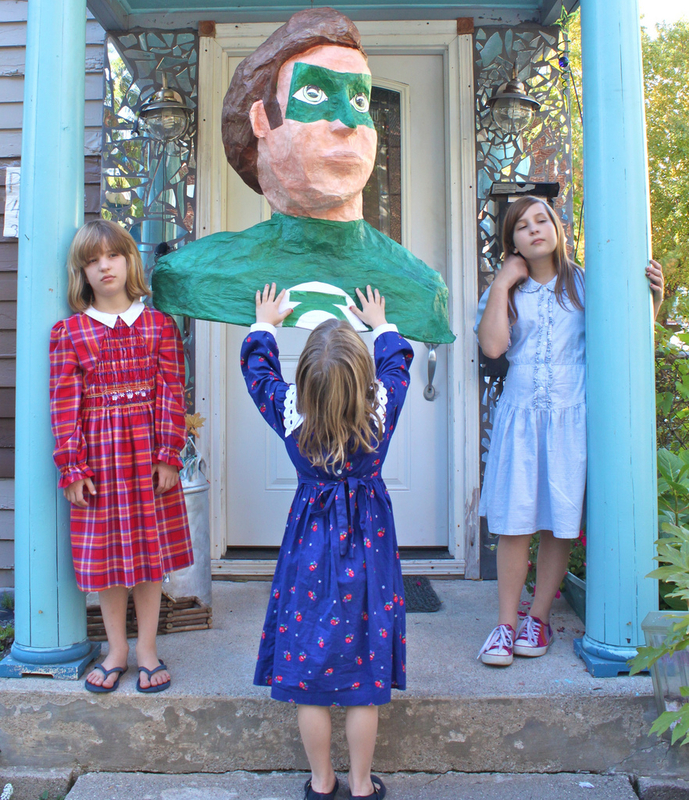 This shot was taken in front of a home down the street where a man makes these big piñatas that he sells from his home. He explained to me that he had the idea to do something with the broken mirror on the exterior of his house for a long time and finally one day just got it started. Our neighborhood is home to a lot of artistic people which gives it some extra charm. Our neighborhood is where our family is living out it's life. We have chosen to live here and want to make a real contribution. We want our neighborhood to be a place where people really connect with each other and let their lives intermingle rather than a place where we just happen to share a zip code. Today there is a group of people who are meeting up at the Farmers Market around the corner to walk together downtown to begin Occupy Grand Rapids at the Calder Plaza from 12 Noon to 5PM. Come and join us bring attention to the way the major corporations and banks have high jacked our political system. This is no longer a democracy. Let's see what we can do working together to bring about real change right here in our own home town.